Retail version includes htoL#NiQ: The Firefly Diary. NIS America has announced a Steam PC version of Yomawari: Night Alone, and confirmed both the PS Vita and PC versions will launch in North America on October 25 and in Europe on October 28. The $39.99 PS Vita retail version of the game will be bundled with htoL#NiQ: The Firefly Diary, NIS America’s previously released adventure puzzle game for PS Vita. A $49.99 PS Vita limited edition including the original soundtrack, two art books, and a collector’s box will also be available. The NIS America Store has a $59.99 limited edition for both PS Vita and PC that includes the same bonuses as in the standard limited edition, in addition to a heat changing tumbler. 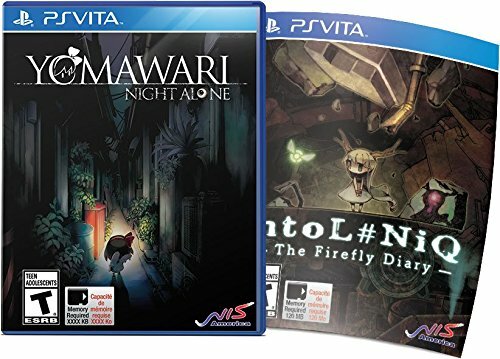 Unlike some of our zanier titles, Yomawari: Night Alone allows you to revisit your childhood fears, especially the fear of the dark. For fans of survival horror, mystery and stealth action, this will be the perfect little gem (or would that be two gems?) to add to your collection! The story begins with a little girl who lives with her beloved dog and sister in a small town. A routine stroll at dusk leaves her devastated as she runs home, with only an empty leash in hand. As if losing her dog wasn’t already traumatizing enough, the little girl’s sister goes missing the same night. With only a flashlight and a backpack to store the different items and clues she finds around town about the mysterious disappearances, a dark and dangerous tale begins. 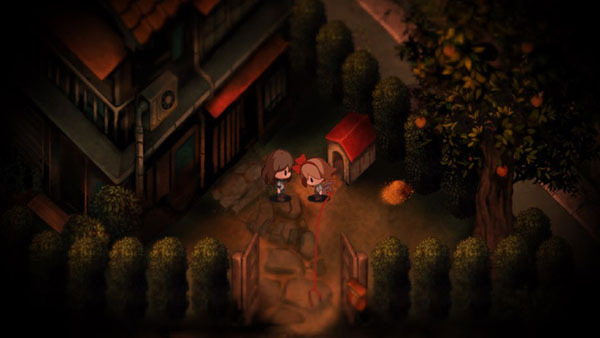 Yomawari: Night Alone features a unique blend of survival horror with stealth action gameplay. Along the way, you will find all sorts of objects from keys to slippers to cat biscuits, some of them vital to solving the mystery of the town and its eerie inhabitants at night, while others useful to distract evil spirits when they attack. As the story unfolds, more answers will lead to more questions, and the open-world environment of Yomawari: Night AloneYomawari: Night AlonehtoL#NiQ: The Firefly Diary return for a physical release! Using two fireflies, you must guide Mion out of the labyrinthine ruins and back home, but not without running into vicious monsters, crumbling corridors and dangerous traps! With two mysterious tales coming together to form one fantastically eerie set this October, this is a combo pack that you definitely can’t miss! Watch a pre-order trailer below.